Taking advantage of the LinkedOut situation this morning (LinkedIn returned a 500 error), I managed to spend some time on Google+. The move about having users being able to get on G+ only by invitation it’s surely been a nice marketing move. And the fact that LinkedIn was not working today, has been a fortunate coincidence. Let’s see now if G+ will work. I am curious to see if there has been any drop in Facebook traffic in these days, after G+ launched, or if there will be more drop in the US GDP once G+ will get bigger. I still think one of the most interesting differentiating factors of G+ is “Circle+”. Interesting enough, it took less time to have an app (which also grants visibility to its source code) making Facebook have this same funcionality than it took to Google to open its doors to users. G+ and Privacy: isn’t Google going to know too much about us? 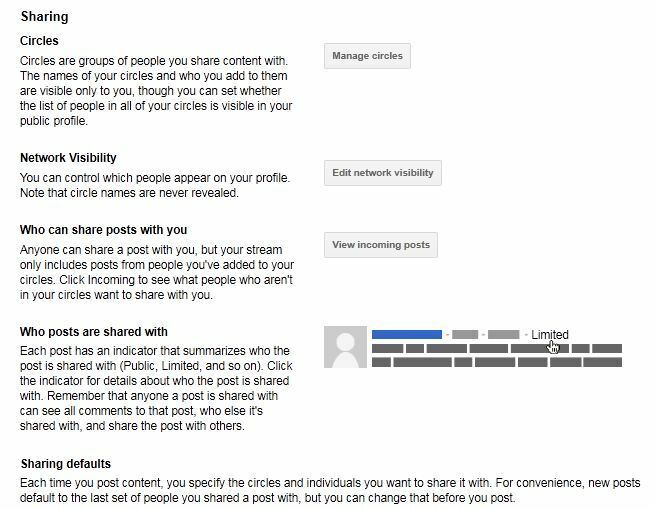 We heard already about some concerns about privacy settings on Google. And I am sure we all remember about all the issues facebook went through during its 7 years, with regard to privacy. Someone sees this Google move as a way to compete with Twitter, rather than with Facebook. Personally, I don’t see Google+ as a way to take either of the two (Twitter and Facebook) out of the Social Networks game.I see Google becoming more and more the owner of our data, our identity, and becoming the most powerful marketing weapon. Surely, many of those who claim to be sick of Facebook – mainly because of the fact they don’t like their life to be so visible to their friends- will be happy they will have another option. But I am not sure those who tell they are sick of having others knowing so much about them will be happy to share even more. Companies who turned their marketing dollars into Facebook will like this G+ even more than those who were hoping for a decline of Facebook. Talking about marketing, I haven’t seen any ads (so far). I am sure the drop in banner clicks, as also reported in a recently published article, wasn’t a big surprise to Google, who knows basically everything about almost every website, if we consider the traffic that goes through its search engine, its emails, its analytics and its adwords, to mention a few. Surely we should not forget about other apps like docs and chats. Do they keep a copy of all our data? Consider this: Google knows all banners performance for a huge number of companies, knows their website traffic, from and to inside pages and other websites. But what Google was missing, and why Google – IMHO- was keen to enter the social media market, is “who” was performing these actions, what are the habits of “clickers”, what is what today is called “digital body language”. The social side of the equation was Google’s missing link for the ads battle. This is how Facebook started making the big bucks (I am referring to the deal with Microsoft). So now the game is not about Social Media – or at least not only. And I would expect some news to come up from Microsoft and its ads network. What’s your opinion? Who is going to win this marketing battle?